Lush's Valentine's Day Collection this year is something to be excited about. I'm glad they aren't doing the normal boring hearts and flowers, blah blah. It gets old. Here are a couple favorites that I wanted to share with you. Which one do you want to try? The Ex Factor - A ballistic that smells like butterball. 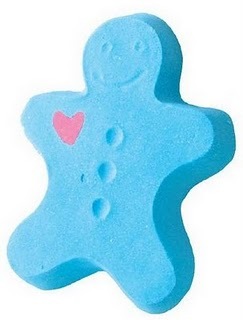 It's meant to be a bit like voodoo, so if you are alone on valentines day you take the ballistic and fizz off his arms. The Frog Prince - My favorite out of the haul. Your meant to kiss the red lips before you pop him in. 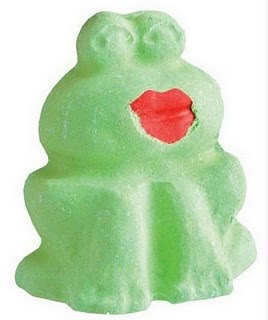 The lips part is actually a bath melt so this is a lovely moisturising product. Scented with rose, rosewood, jasmine and neroli. 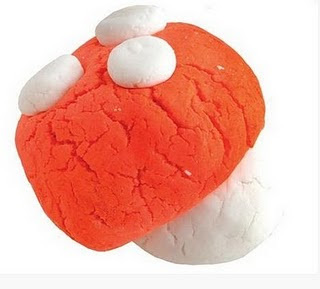 Magic Mushroom - This is a bubble bar that was released last year. 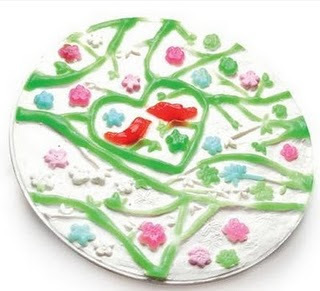 The red part smells like strawberry and the white part is vanilla. No sure where this fits in with the Valentine's day theme, maybe the colors? Oh well, still cute. It's Raining Men - Super excited about this one. I'm thinking it's going to be a drawback to Honey I washed the Soap. Lsuh comes out with some great honey products, so this is #1 on my list. Love Birds Soap - Smells like vanilla and jasmine, the same fragrence as the old B Never perfume, Keep it Fluffy, Lush also do this scent in a ballistic too .